From a classic look to a sporty style to a practical tool watch, there are different types of watches that can suit any situation. Whatever your way of life, select a few essential timepieces that can be integrated into your work wear, your weekend gear, and your hobbies for a well-curated watch box. Here are six essential timepiece categories to consider adding to your wardrobe to deliver an ultimate style statement. A very popular choice among watches, the chronograph is especially sought after for its aesthetics. Wearers of this particular style of watch may never even use the chronograph timing function, yet the look of the pushers on the case and the sub counters on the dial lend a sporty and dynamic appeal to the timepiece. Most watchmakers offer chronographs as part of their collection, and some brands are famous for the ones they produce. The Big Bang from Hublot, the Carrera from Tag Heuer, and the Grandeur Sport from TW Steel are all excellent choices. The beauty of a chronograph is its diversity. It can be super sporty when outfitted with a rubber strap and crafted from cool materials like carbon or titanium, or it can be robust and masculine in full stainless steel from the case to the bracelet, or it can even come off ultra luxurious in precious metals such as gold or platinum and presented on a leather strap. The diving watch falls under the tool watch category as it offers its wearers some very practical functions while plunging to the deep. There are certain characteristics found on a dive watch — such as on Seiko’s Prospex and Panerai’s Luminor Submersible — including waterproofness of at least 100m, a unidirectional rotatable bezel to keep track of diving times, and a clear, luminescent, and highly legible dial. 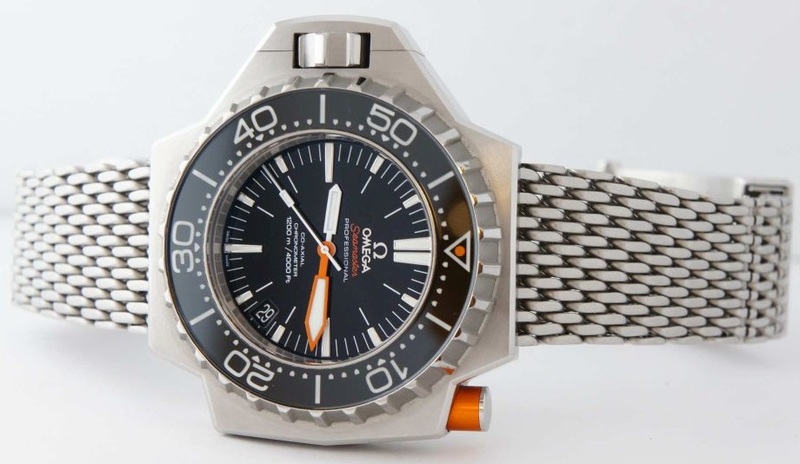 Some diver’s watches, like the OMEGA Seamaster Ploprof, are built to withstand extreme depths and come equipped with a Helium Escape Valve (HEV) to release the built up gasses within the watch during decompression periods, thus preventing the crystal on the face of the watch from bursting. The strap or bracelet of a dive timepiece is also an important feature to consider, as it has to be able to fit over a wetsuit and be made from a material that is waterproof and resistant to seawater corrosion. Both a rubber strap or stainless steel bracelet are fit for the job, and interchanging these two on a watch is an easy way to change up its look. Pilot watches can range from simple pieces with a similar aesthetic to those watches made for pilots during WW1 and WW2 (think large markings and clean legible dials), to complex aviation instruments loaded with functions like slide rule bezels, chronographs, and multiple time zones. Certain watch companies, such as Breitling and IWC, have had a long history with the world of aviation with these watchmakers supplying instruments to the Royal Air Force in the 1930s. Both brands continue to predominately focus on manufacturing top-of-the-line pilot watches today. Another popular pilot watch producer, Bell & Ross offers many models that boast design cues — large white numerals and black dials — from vintage pilot watches and they supply the French Air Force with their professional series of watches. 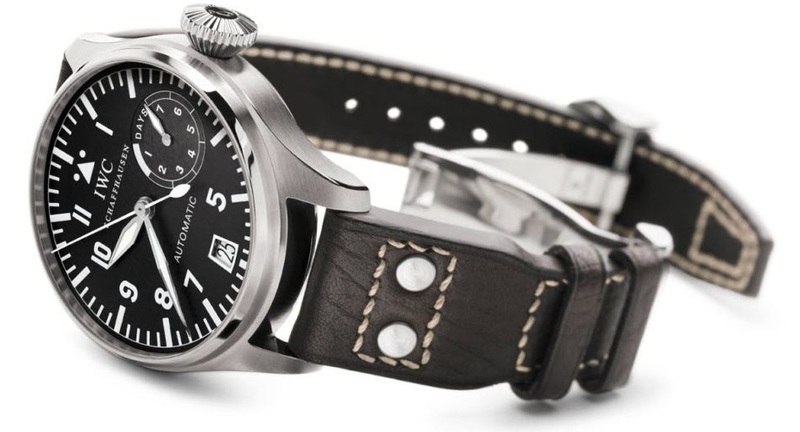 Pilot watches that are retro-inspired typically sport a leather strap, reminiscent of the early days of fighter pilots, while cutting-edge modern pieces tend to use stainless steel bracelets, or even gold on more deluxe models. 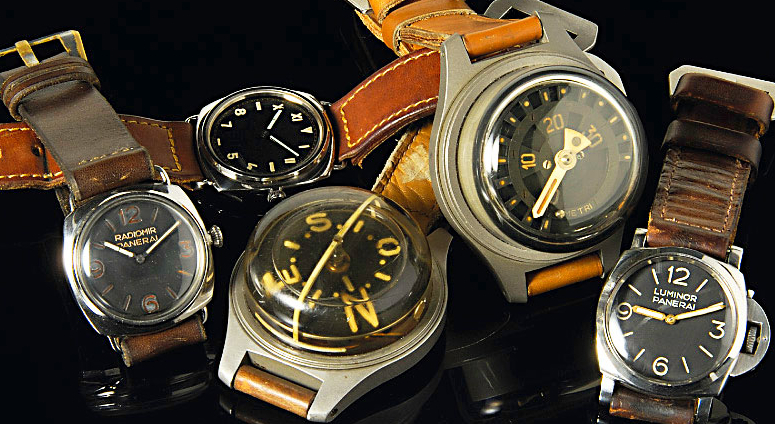 Military watches are another broad category of timepiece that can allude to a style based on a vintage military look or can demonstrate technically complex instruments that are supplied to military establishments. In its most basic form, a milwatch should be exceedingly functional, muted in its look, and highly legible. For instance, during WWII, Panerai supplied the Italian military’s Royal Navy with their Radiomir watches, which had a very distinct design: a 47mm cushion-shaped case, black dial, luminescent hands and markings, and wire lugs to support the water resistant strap. Today’s versions of that model look remarkably similar. The ideal strap for a military style watch is the NATO strap, the origins of which are also rooted in the military. Selected for their functionality and robustness, the British Ministry of Defense issued these grey nylon straps to their soldiers in the early 1970s. Formerly known as G10 straps, a vital element of the band was the way it managed to keep a watch firmly on a soldier’s wrist in any situation thanks to how it was looped through the watch head. The dress watch is to be paired with a suit, tie, jacket, or in very formal settings, a tuxedo, so elegance and sophistication are key. 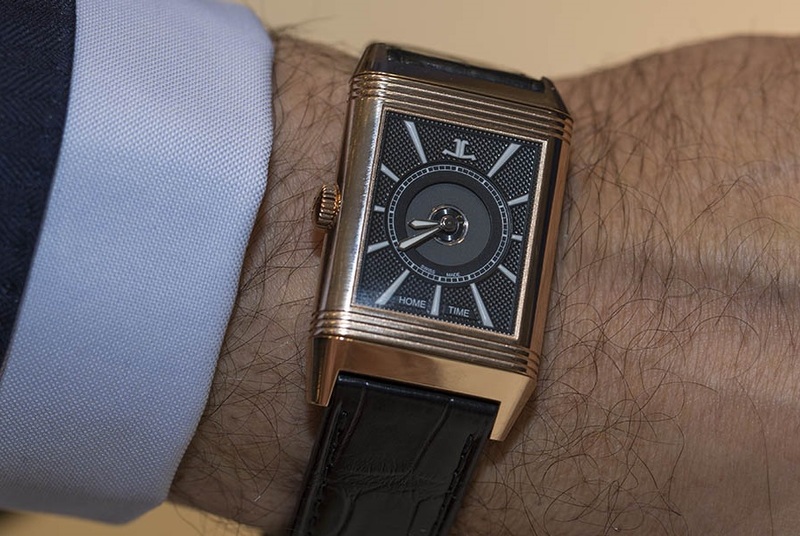 A round case, like the one on the OMEGA Globemaster, or a rectangular shape, such as that boasted by the Jaeger-LeCoultre Reverso, are both great choices, while for metal options, steel or gold are solid picks. Subtle dials and minimal functions are always better when selecting a dressier timepiece so that the watch complements rather than overshadows an overall look. For a true classic style, a dress watch looks best on a classic leather strap in neutral colors like black, brown, gray, or blue. As its name suggests, a vintage-inspired watch is designed based on trends of a bygone era and can cover so many decades of styles. The iconic Tank watch from Cartier with its distinct rectangular shape, Roman numerals, and blue hands, was first introduced in 1919 and today’s interpretations of the original timepiece preserve this absolute classic. Aesthetically very different, the TW Steel Maverick collection of round cases, oversized crowns, and large hour-markers sport very cool throwback vibes, while the Bell & Ross Sport Heritage line takes its style inspiration from the 1960s. 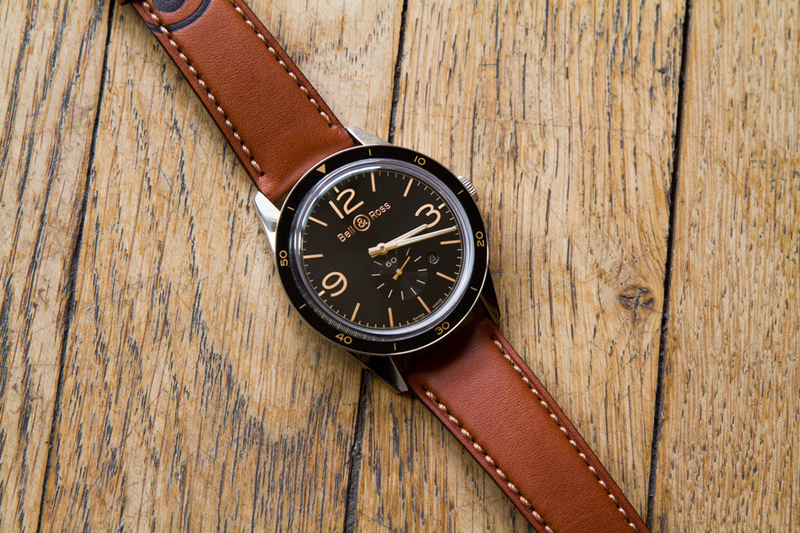 An easy way to add a retro effect to a contemporary timepiece is to outfit it with a distressed leather strap. With the recent advent of the Apple Watch, several companies in the traditional watch industry are also looking to offer their own interpretations of the smartwatch. 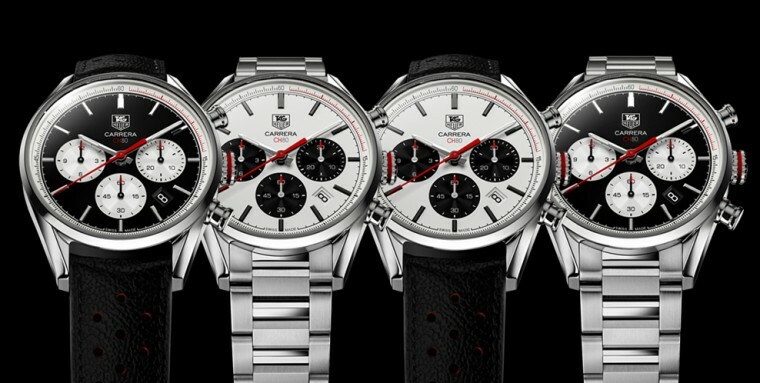 Tag Heuer, for instance, unveiled the Connected collection last year in collaboration with Google and Intel. The line boasts products that look like mechanical watches, yet they run on the Android Wear operating system and can sync up to smartphones. Still in its infancy, this category of watches will be interesting to monitor to see how and if the Swiss watch industry will embrace this new type of wearable technology. What’s your favorite watch style? Let us know in the comments below! I checked out the IWC pilot watch that I read about in the article, really like it so I might go with that one 🙂 thanks again! Thanks for the in depth look into the different types of watches. I’ve been debating what type of watch to get for my husband, this article came at the best time! It’s like it was meant for me ???? I’m so glad this post helped out! If you can, please let us know what type of watch you end up getting for your husband! Our IWC leather straps are one of our most popular models! Great post! I’m partial to pilot watches, IWC all the way. Thanks! I’m an IWC Pilot fan for sure!